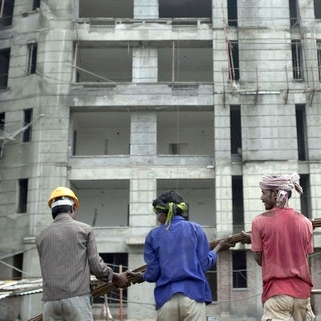 The real estate business is flourishing all the way in India. But before purchasing any property under construction some important issues should be taken carefully. You have sign two very important legal documents like Agreement for sale & Agreement for construction. Agreement for Sale: This is made to show the legal right of undivided property. If there is a Joint development Agreement is done between the owner of the land and the builder then the buyer will have to make an agreement for sale with both of them. But if the builder is the owner of the land also then the agreement for sale will be done with builder only. Agreement for construction: This agreement is made to claim the ownership of the property. This is purely done between the buyer and the developer only. This is very important document because according to this agreement builder is committed to make the construction according to the agreement. The Developer has to make several aspects like details of the property where the apartment is going to be constructed, super built up area, common facilities, car parking etc. Flooring, bathroom, kitchen, balcony, doors, windows are also clearly mention in this agreement. This includes electrification and intercom facilities. This agreement contains the possession time period, grace period, linked payment or time payment plan. This agreement has a long list of other charges to be born by the buyer of the property like registration charges, stamp duty, property tax and other unexpected expenses. It also gives the right of the ownership to the buyer who has right to sale his/her property further. The registration for ownership is done only in case if all the above cited conditions are fulfilled property by the buyer. The registration to ownership of the property is done through sale deed and its executed by the land owner or by the developer. Get guidance regarding sale- purchase-investment of your valuable properties. सुन्दरकाण्ड- सभी सुन्दर हैं !! !